They are actually called standard bearers and they play an important role in the logistics of the tournament. 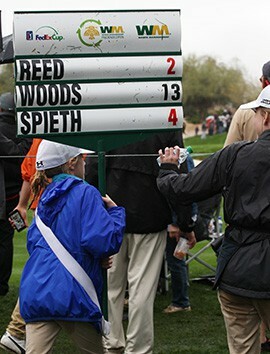 The signs the children carried showed the pairing of golfers and what their score for the tournament was entering each hole. 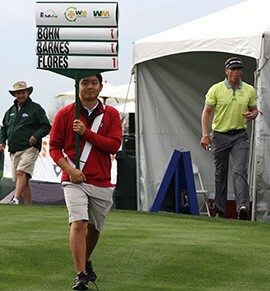 Each time there is a change in a player’s score, the standard bearers changed the number on the sign, with black numbers indicating a player is shooting over par and red numbers meaning the player is shooting under. 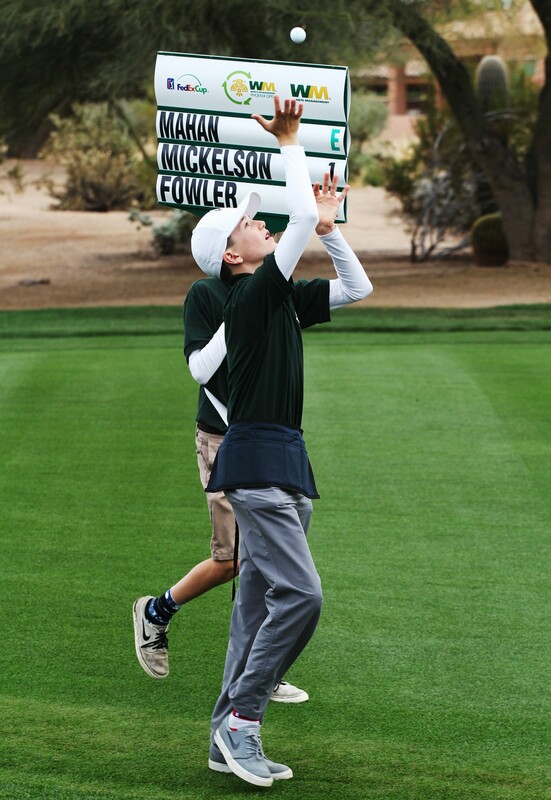 Every group of golfers was assigned a pair of standard bearers so more children were involved. Having the children in pairs also helps keep the children from getting too tired because they are encouraged to switch who gets to carry the standard between the first and second nine holes of play. Kevin Sonoda, who is the coordinator of the standard bearer volunteers, said each day of the tournament he saw about 50 children per morning and afternoon sessions try to snag a spot as a bearer. Most of these children were in high school or younger, ranging from the ages of 10 to 19,who play golf and want a chance to learn from the professionals. First-time volunteer Carter Squires, 10, wanted to learn how to improve his swing. Sonoda said between 30-35 percent of the volunteers were female. At the end of the round, many golfers thanked the bearers by signing autographs, posing for photos or even handing over their gloves. Truman Park a sophomore golfer from Hamilton High School holds the standard proudly as he walks off of the first tee at the Waste Management Phoenix Open. 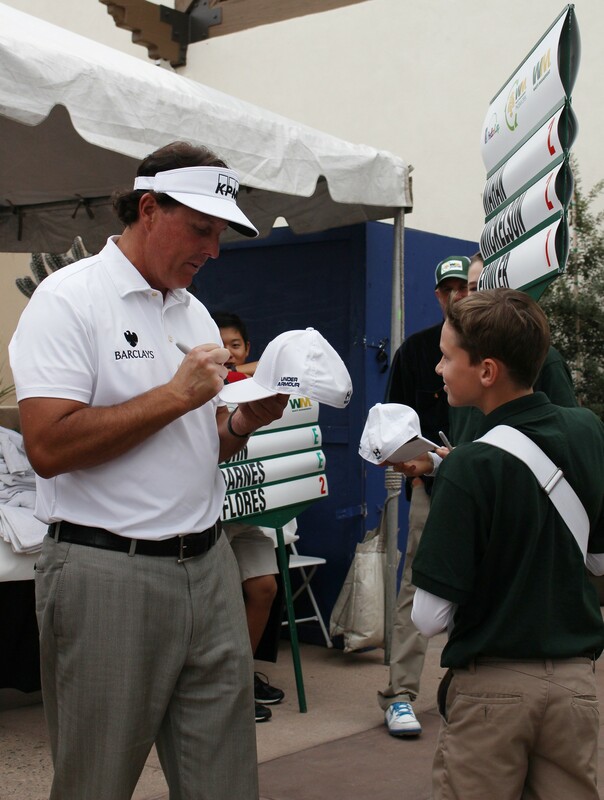 Phil Mickelson signs Will Clayton’s ,13, hat after his first round of the Waste Management Phoenix Open to thank Clayton for his help. A little girl heads to the club house carrying the standard for Woods who missed the cut, finishing at 13 over.